What are the charges for Joining and paddling with the Club? Do I need any Experience before joining the Canoe Club? Do I have to start in the Swimming Pool? Q: What are the charges for Joining and paddling with the Club? Join Us page for the membership Form which has the latest fees. River Programme page for details of the Boat Hire changes at the watersports centre. Pool Sessions page for details of the Pool Usage charges when paddling at the Deben Swimming Pool. As a family friendly club, we try and reduce the costs for families, so we have capped our Membership, River Charges and pool Charges for families. Q: Do I need any Experience before joining the Canoe Club? A: The simple answer is No. We offer a range of activities to appeal to complete beginners through to very experienced paddlers. As a beginner you can come along to Pool Sessions immediately. 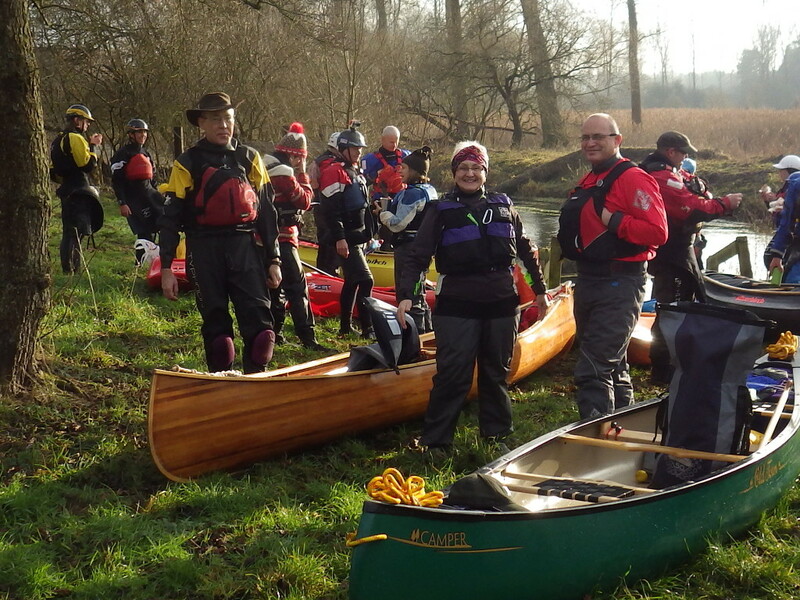 We require beginners to take a Beginners course before they start paddling with the club on the river, so that all club members on the river can basically keep up with the group. We typically run one or two beginners courses each year, one starting at the end of April and one starting around the middle of June. If you are interested, please contact us and we will help you select an appropriate course. Q: Do I have to start in the Swimming Pool? A: No. We offer beginners courses on the River, and if you already have experience it may be possible to join us without doing a beginners course. However, Pool Sessions are a very good way of starting paddling and you can start joining us at the pool sessions at any time in the year. Please contact us and we will help you select the best approach for you.